For all you local-ish people, The Farmer and I have some lovely legs of lamb for holiday meals. We also have other standard cuts which make appreciative holiday gifts for a friend or family member who enjoys good food and locally raised products. The legs range is size from 4 to 5 1/2 lbs. Supply is limited. $12.00/lb. Please place an order so I know what to set aside for you. Tell me where you want to pick up - Amherst or Northampton. To order - email Kristin at kristinnicholasATgmailDOTcom on Wednesday, Thursday or Friday. I have a big magazine photo shoot here Thursday and Friday so unfortunately I will not be able to speak with anyone on the telephone during the day. If you need to be called back, email me your phone number and I will call on Friday evening! Leg of Lamb - Bone in - 4 to 5 1/2 lbs - $12.00/lb. Half Legs of Lamb - Bone in - 2 to 2 1/2 lbs - $12.00/lb. Boneless Legs - 2 lbs. - 13.00/lb. Shoulder Roasts - for Braising - 1 1/4 to 1/2 lbs - great for braising $8.95/lb. Shoulder Chops - 1 lb or so - $8.95/lb. Rib Chops - 2 per pack - $13.95/lb. Loin Chops - 2 per pack $14.95/lb. Rack of Lamb - a little over a lb in a rack - $14.50/lb. We take cash, checks, and credit cards via Square. 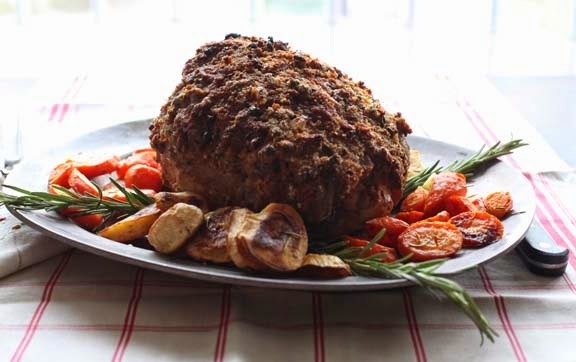 Check out my recipes on our Leyden Glen Lamb website here. Thanks everyone for your support of local agriculture wherever you live!